Differentiation provides ways to cope with large workloads and with the feeling that there’s never enough time. 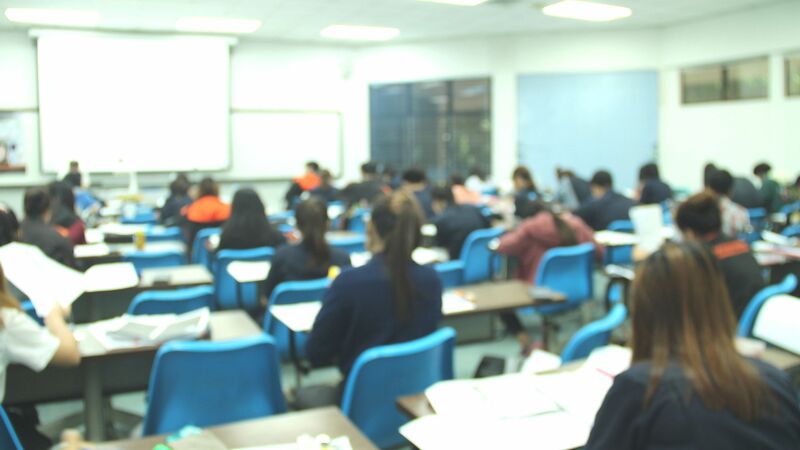 Student learning and growth can become obscured by three obstacles that teachers may feel powerless to address: class size, overall workload, and instructional time. These are genuine concerns, so let’s take a closer look at each challenge and possible solutions. Large classes are a difficult challenge faced by many teachers. Proponents of smaller classes point to studies that show achievement results, with the largest impact appearing to be on early elementary students. To a lesser extent, smaller classes can help English language learners and those who have large skill deficits. Critics counter that costs rise as class size falls and that the impact of smaller classes decreases for older grades. John Hattie found that small class size has “a positive but small effect” on learning. What is more important is teacher expertise in the instructional setting. Having taught in urban, suburban, and rural schools, and having worked with teachers in these environments, I can say from experience that class size does make instruction and student learning a daily puzzle to solve. Workload is a different but at times related issue. A secondary teacher may see 200 students during the day in five classes, with 40 students per class. A large workload can make it difficult for the teacher to get to know all of their students. With large workloads, relationships become even more important. Knowing students’ names and something about them is necessary if student buy-in to a supportive learning environment is to happen. Learning Profile Cards: Get to know all students from their perspective. Use these cards to thoughtfully create teams based on more than behavior. Learning preferences through art: A high school math teacher used this approach to group students. His students evaluated themselves based on an inventory, creating designs that represented themselves as squiggles, circles, squares, or triangles. The students identified a secondary trait that also represented themselves, which helped the teacher to avoid thinking of them as one-dimensional. Norms: Student-generated norms can reflect their ideas about what makes a supportive environment. Adults and students must abide by the norms. Students and the teacher can coach anyone in the room on breaches in norms. My teaching career started in the Chicago Public Schools system, where the classes were 40 minutes long. As a first-year teacher, it was a challenge to figure out how best to manage learning in such a limited span. It felt like the period ended just when we were getting into the thick of learning experiences. Later in my career, I taught classes that were 100 minutes long. At first, this longer time frame seemed as challenging as the 40-minute span. Studies on instructional time focus on the length of the school day and on extending the school year. Here we’ll focus on the day. We should look at how we can create learning experiences within the time frame that place students in the role of active learners instead of passive receptors. 1. Focus students on deeper learning. Plan what students need to know, understand, and do, or KUD (to borrow a term from Carol Ann Tomlinson). With this clear focus on the end in mind, plan a variety of activities and experiences that build connections for students based on their different needs. Each activity must pass the acid test of the KUD. Include up to three processing experiences. Use informal formative reflective moments, in which students consider what they understood and did not understand from the lesson. These moments may be a quick journal write-up or partner talk. Or use the protocols shared above. Students need opportunities to check their understanding before moving forward on their learning journey. 2. Plan from the learner’s perspective. Provide activities that students find meaningful and engaging. If students don’t care for the task, their attention may wander. Follow the Goldilocks Rule: The time frame cannot be too long or some students will be done early or start too late. Downtime in the midst of work can lead to behavior management issues. If the time frame is too short, some students will feel frustration at being unable to finish, which could lead them to shut down. Ensure that the activity appropriately meets the readiness needs of each participant, from the quick learner to those who need more support. Please share your strategies to overcome these challenges, so all can learn.